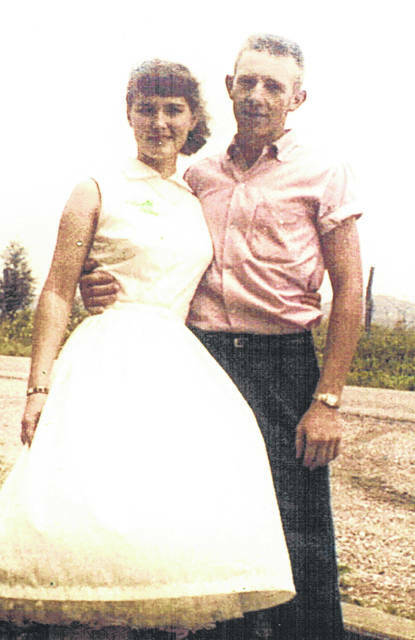 Sinking Spring residents Jim and Nina Couser are pictured around the time they were married. Jim and Nina Couser are shown in a recent photograph. 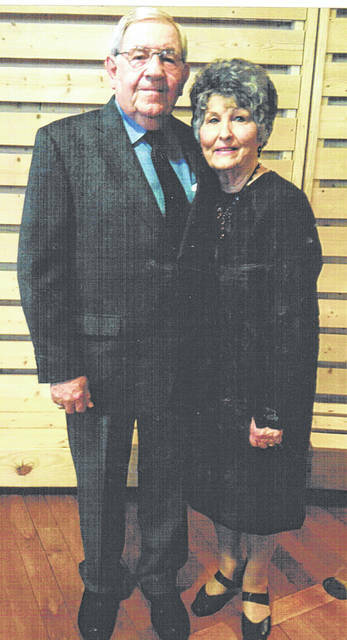 Jim and Nina Couser of the Sinking Spring community will celebrate their 60th wedding anniversary on Saturday, Feb. 2 with an open house from 2-4 p.m. at the Sinking Spring Community Church Fellowship Hall. They were married on Feb. 8, 1959 in Corinth, Miss. They are the parents of two children, Terri (Mike) Matheney and Tom (Kim) Couser, both of the Sinking Spring area. Nina was “Mrs. Couser” at Peebles Elementary as a teacher and a subsitute for 40-plus years. Jim sold Ford trucks and cars in the Hillsboro and Peebles areas for 39 years. They are the proud grandparents of Jay and Ethan Matheney, Ashley (Jason) Jandes, Nick Couser, and stepgrandchildren Mariah (Josh) Kreal and Madison Knauff. Great-grandchidren are Levi and Laura Jandes and stepgreat-grandson Keinan Kreal. The couple asks that gifts be omitted, but cards and the presence of friends would be appreciated. Submitted by the Couser family.